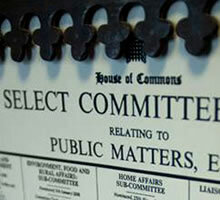 In November 2012 a Parliamentary Select Committee chaired by MP Keith Vaz will hear evidence already tested in open Court how Ian Puddick was brutalised in custody at Snow Hill Police Station by City of London Police Counter Terrorism Directorate Sergeant John Ellis, when the CCTV evidence was wiped & Sergeant Ellis told the Independent Police Complaint Committee (IPCC) ‘that he had no recollection of the event nor going into the room where it occurred with Ian Puddick’. The IPCC investigator Detective Sergeant Craig Mullish who is based at City London Police Bishops Gate Station didn’t find anything wrong or odd with Ellis’ statement. Ian Puddick provided Sergeant Ellis with further evidence of his unlawful treatment at Snow Hill, upon this Ellis Changed his statement, he suddenly remembered & gave a false account, an account which led to Sergeant Ellis changing his statement drastically for a third time causing him to commit perjury Again the IPCC found nothing odd in Ellis’s behaviour. Ian’s partner was also interviewed by City of London Police for 1 hour, she was accused of committing very serious crimes including ‘conspiring to pervert the course of justice’. Incredibly City of London Police have no record of this interview & have confirmed this interview did NOT take place, they have no record of any officer interviewing Ian’s partner at any time. In court Ian’s barrister Michael Wolkind QC disclosed very embarrassing emails which showed Ian’s partner was interviewed by City of London Police and the interview was arranged and set up by Kroll, the worlds largest private security firm which works with MI6. The emails even named the City of London Police Officer that carried out the interview, interestingly, PC Dan Valour no longer denies the interview, he just ‘cannot remember’ and he forgot to make notes. Chris asked Michael, Is this case of a few rotten apples spoiling the barrel?